I’m running the first prototype of a new workshop around ‘The Landscape of Trust’ today: the research project is now just over two years old, and continues to grow, and i had always intended for there to be three layers to it. Firstly, the global research project, exploring ‘how trust works’, between people, into communities and teams, and through Organisations. 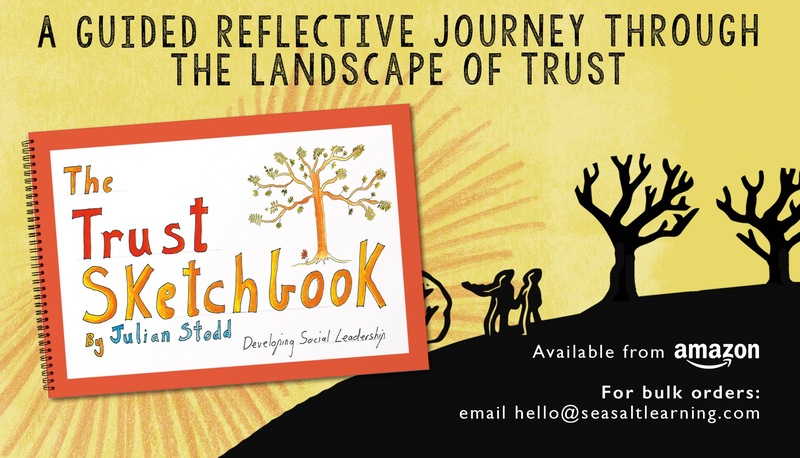 The second layer has been to build out the analysis and understanding of it, and in 2018 i published ‘The Trust Sketchbook’ as the first output from that. But the third layer has always been to ‘do something about it’, and that’s where i am focussing now, with two elements: a workshop, and a new ‘Leading with Trust’ certification programme, which i will launch in July. Both are intended to take the work to scale, to provide practical and applied outputs from the work. Today i will focus on just three elements of trust, in the context of building Social Leadership in a mid sized global Organisations: the ‘Foundations of the Social Age’, creating ‘Conditions for Community’, and ‘The Currency of Trust’. I start with the Social Age, as that sets the context for Social Leadership, by shifting us to a dual track understanding: first, the Organisation as a formal structure, and secondly, the Organisation as a social one. A central tenet is that we need both of these, and that we need both Social, and formal, leaders to bridge between them. 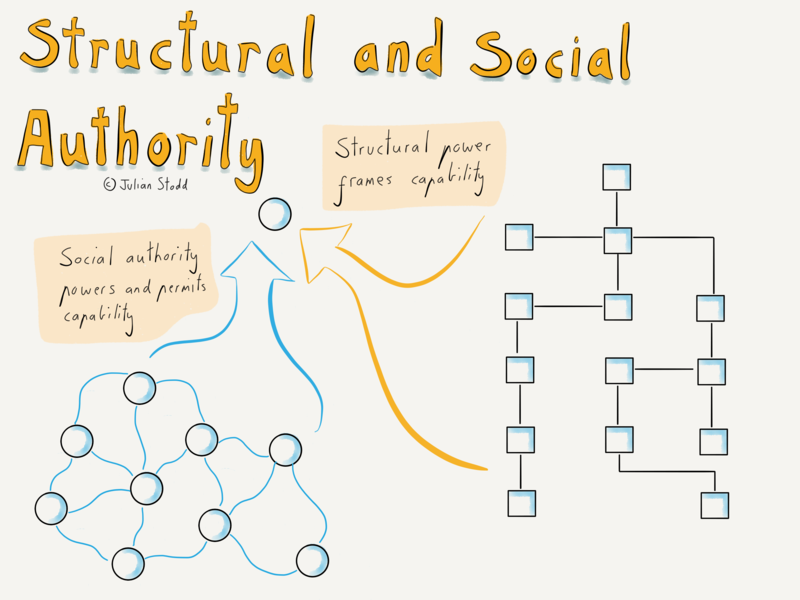 Our formal position frames our authority, and our social capital cements it. I’m drawing upon the ‘Conditions for Community’ work because, in practical terms, it’s hard to separate the two out: the thing we ‘need’ is maybe not ‘trust’ itself, but rather the thing that trust gives us. Community. And the ‘Conditions for Community’ research project, which i have been running in parallel, is clear about a number of things, notably that we perceive community in two ways. Firstly, structurally, in terms of numbers, locations, outputs, and benefits, but secondly in terms of values and purpose. I describe these are ‘functional’ communities, or ‘coherent’ ones. Another way of looking at this is that ‘coherent’ communities create space for us to invest more than just time. We will need ‘investment’ to build a more Socially Dynamic Organisation. Finally, we will look at currencies, and this is the most problematic part of my own work, and the piece i am least happy with. I’m clear that viewing trust in terms of ‘currency’ is both intellectually appealing, and almost certainly wrong. It feels right, but i can’t evidence it from the research. The closest we can come is to consider trust as one of a number of currencies, but each of them may operate from a different central bank. In other words, you cannot trade between them. Seeing how this final section goes today is one of the key outputs that i am looking for. I’m also keen to build the research out into this space in a subsequent phase. This entry was posted in Community, Leadership, Trust and tagged Leadership, Social Leadership, Trust. Bookmark the permalink.